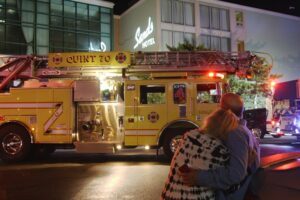 What was first reported as a basement kitchen fire around 1:10 a.m. Thursday led to the evacuation of the Atlantic Sands Hotel on Baltimore Avenue in downtown Rehoboth Beach. 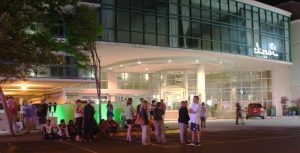 Hotel guests were in the process of evacuating when police, firefighters and EMS arrived minutes later. Firefighters from Lewes and Bethany Beach also responded to assist. There was no visible smoke from the outside, but once in the basement, firefighters found burnt laundry on top of a clothes dryer that was the apparent source of the smoke. There was some water damage from the sprinkler system which doused the fire. A fire marshal is investigating. Guests were allowed to return about 25 minutes later. No injuries were reported but police and rescue crews assisted some guests from their rooms. A similar fire happened here on July 30, 2017.